Whether you are an elite athlete or you run around the park once in a while for general fitness, your osteopath may help prevent and treat many sporting injuries. Reduced joint or muscle flexibility will affect your performance. It may result in injury. 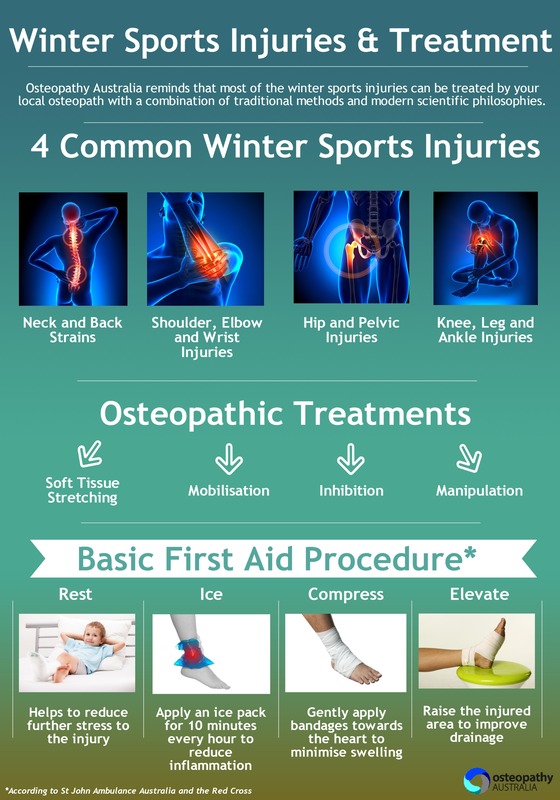 If you do become injured, your osteopath is highly trained to facilitate a return to optimal function and prevent compensatory strains from occuring. This aims to minimise re-injury and allow a quicker return to physical activity. Before treating your child, the osteopath may perform a comprehensive physical examination and refer to other health care professionals if necessary. The osteopath can provide nutritional advice along with strategies, exercises and routines to help your child avoid further injury and stay healthy, happy and active.